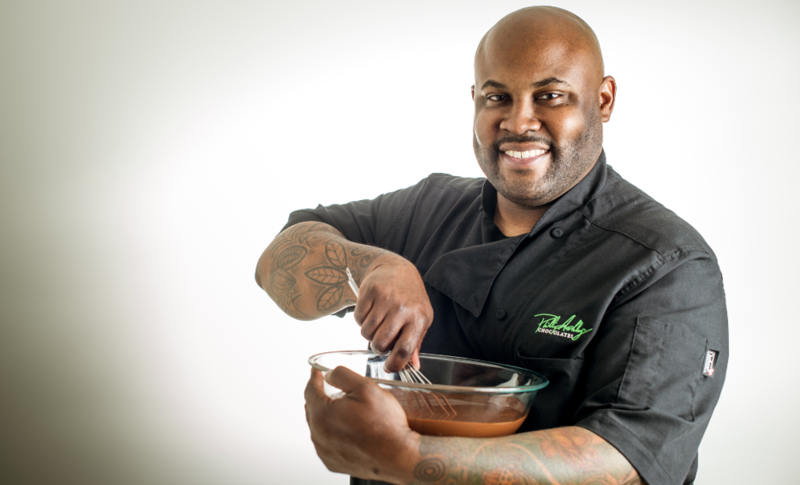 Named one of the Best Chocolatiers and Confectioners in America by TasteTV, listed in USA Today’s 10 Best and anointed the “Real Life Willy Wonka” by FORBES Magazine, Chef Phillip Ashley is a rising star in the culinary and business world. What Kate Spade did for handbags, Christian Louboutin for women’s shoes and Versace for fashion, award-winning designer chocolatier Chef Phillip Ashley is doing for chocolate; liberating it from the confines of tradition. Celebrated clients including Fred Smith, Tom Brokaw and Morgan Freeman have all bared witness to his delectable treats. With a portfolio of over 150 designer chocolates, his delectable gems have even graced the Academy Awards. Self-taught, Phillip Ashley spent over two years studying the history, chemistry and artistry of chocolate. Today, he is renowned for designing wildly imaginative chocolates such as Thai lemongrass mint white balsamic vinegar Picual extra virgin olive oil, gorgonzola dolce apricot and Barbecue. His passion for fanciful flavors and masterful attention to detail result in visually stunning, decadent pieces of edible art. When one thinks of chocolatiers, there aren’t many names floating around within the African-American chocolate community that we can call. 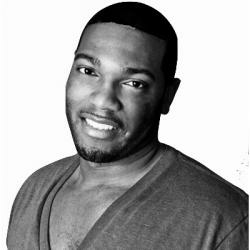 “The chocolate industry isn’t one traditionally open to all comers,” Ashley tells BE Modern Man. “You typically have to travel to Europe and be fortunate enough to apprentice under a master chocolatier or grow up in the business and inherit the trade.” Once Ashley discovered that chocolate was his calling, he became driven and determined to master a craft where there was little to no instruction available to him. The desire to become something no one expected him to be is what pushed him and still motivates him today.